Hi! Nice to meet you! My Name is Lison. 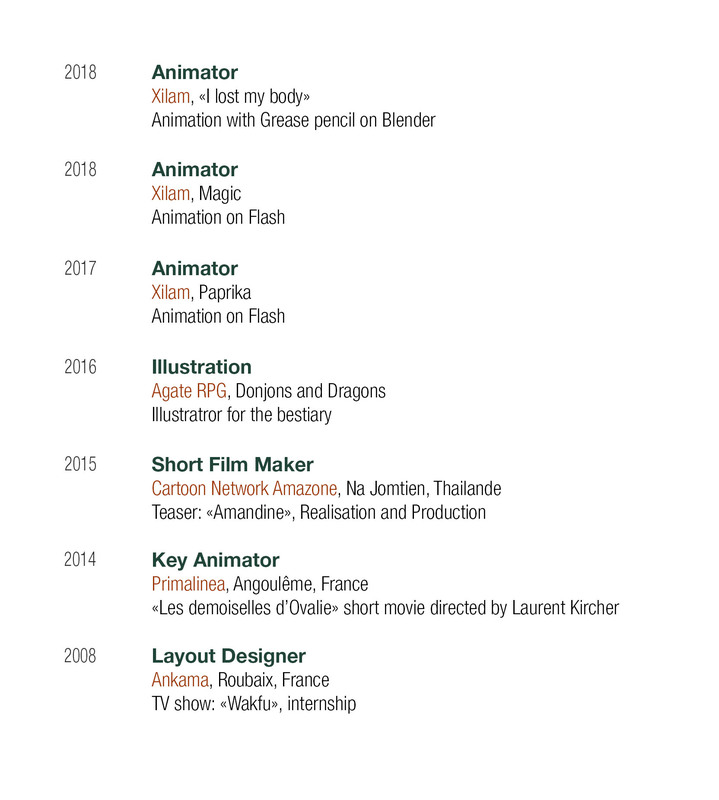 Since my graduation from Emile Cohl, I’ve been working on animated movies and illustrations. I’m looking for new projects so feel free to contact me!